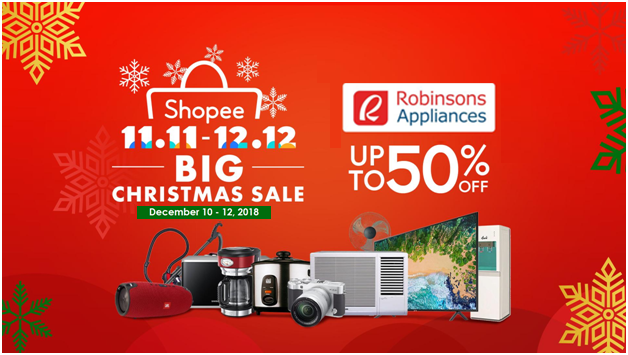 Christmas shopping just got more exciting as Robinsons Appliances is partnering with Shopee, the leading e-commerce platform in the Philippines to showcase amazing shopping deals this holiday season! Get up to 50% off on your favorite brands of appliances during the biggest online Christmas sale of the year, the Shopee 12.12 Big Christmas Sale - the Final Christmas Rush! 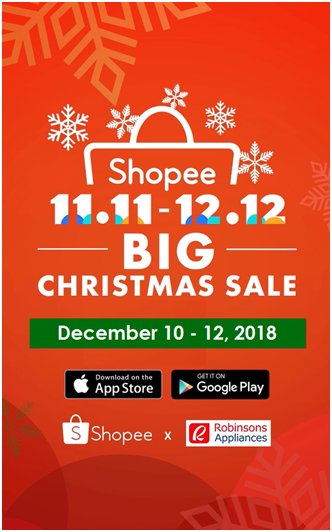 The Shopee 12.12 Big Christmas Sale is the final wave of the Shopee 11.11 - 12.12 Big Christmas Sale offering deals up to 99% off from leading brands. Shopee has also partnered with Viber, Mini Stop, and Smart to give users exclusive promotions this holiday season. The Shopee 12.12 Big Christmas Sale will also feature daily free shipping promotions, flash sales as low as ₱12, and over 12 million Shopee coins to be given away from the iconic Shopee Shake game.